Not all spaces requiring acoustic treatments are noisy and clamorous. In spaces where quiet is encouraged, noises can pierce peaceful atmospheres and cause significant disruption to users. Libraries stand as evidence of this. 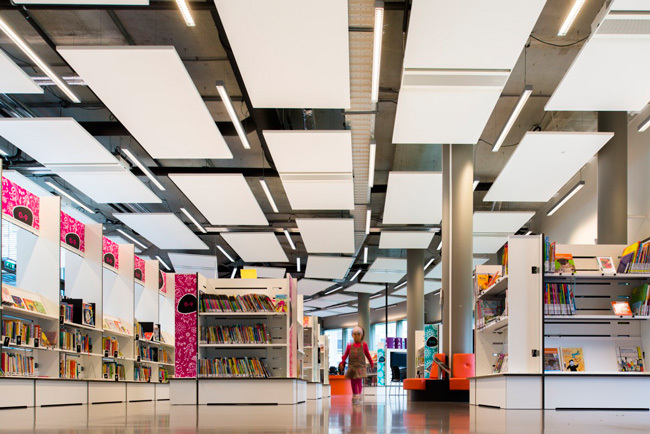 Footfall and other activity in libraries can raise noise levels to a point where it becomes distracting if effective acoustics are not in place. Libraries also need to facilitate collaborative learning, open communication and discussions between staff and library users. Therefore, library acoustics need to be flexible enough to provide quiet and ability to concentrate, whilst also allowing users to users to openly communicate. Libraries need a quieter than usual environment so that users can work and concentrate without disturbance. Resonics makes sure that disruptive noises such as footfall and conversations are curtailed. When conversations do need to take place, acoustic privacy is key to ensures that voices and noise is blocked and absorbed before it can disrupt other users in the library. Resonics offers a range of acoustic products from the industry's leading manufacturers, with a wide scope of different designs and colours that allow your chosen solution to be as eye-catching or as anonymous as you please. 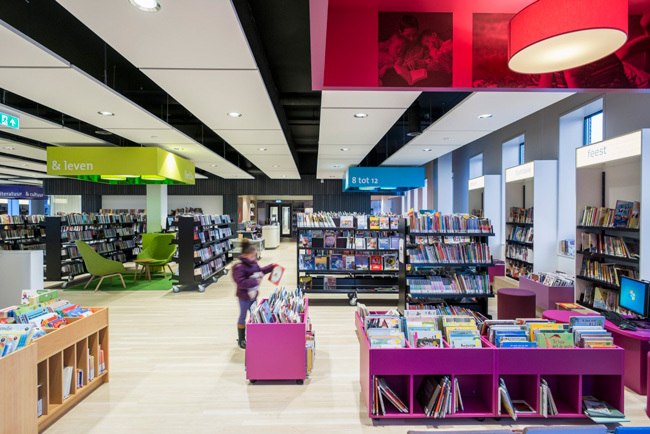 Every environment governs the behaviour of its users, and libraries are no exception. Old libraries and modern libraries are strikingly different in design and layout, significantly altering the behaviour of its users. In turn, this affects the rooms’ sound environment and the acoustic treatments required to achieve a comfortable sound environment. 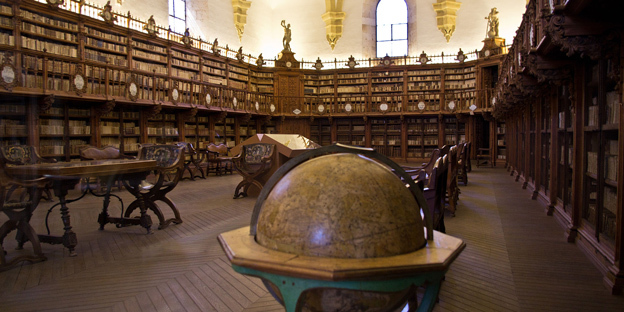 The library at Spain’s University of Salamanca is representative of the lofty, hard surfaced design of old libraries. Hard floor surfaces, often marble or wood. Large empty spaces, often with built in bookcases. The result is a highly reverberant and ‘dry’ acoustic environment. While noise is inefficiently disposed of in old libraries and echoes are often apparent, users are often hyper aware of any noise created and therefore moderate their behaviour to minimise noise in the space. This means that any noise that is generated in this space is likely to pierce through the quiet environment and have a ‘pin drop’ effect. 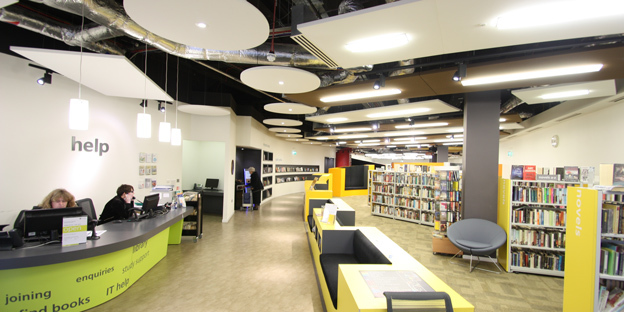 Resonics provided an acoustic treatment to the Southsea Library in Portsmouth. The space is reflective of a typical modern library design. Low level ceilings creating compressed spaces. Use of softer, more absorptive materials such as carpets and curtains. Exposed bookstacks filling otherwise hollow spaces. Whilst these spaces are somewhat effective at disposing of noise, they promote the production of more noise from users who aren’t as aware of the reverberation and echo caused by their noise. Additionally, these spaces are more community oriented, often used for larger, more collaborative learning groups, including children. 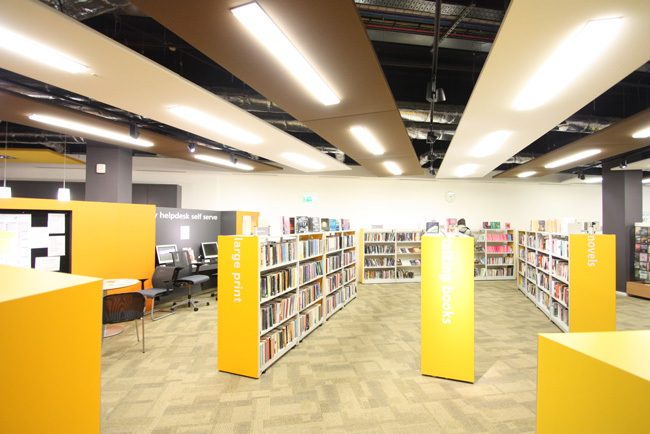 The result is a more bustling environment compared to older, more academically-focused libraries; with greater noise disruption to other users.